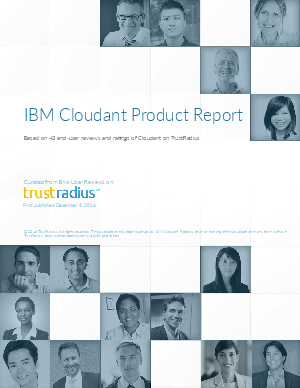 This report is designed to help you make an informed decision about IBM Cloudant. It is based on 22 ratings and 21 in-depth user reviews of Cloudant on TrustRadius, the trusted user review site for business software. By crowd-sourcing user perspectives, we help you to get a true sense of the product.